looking in. Woven throughout chapters are profiles on specific theories that have been developed for or applied to the study of aging. The applications are set off and optional for instructors, but are written so that students see the connection to their everyday lives as well as the practical and powerful value theory has to illuminate important social issues. 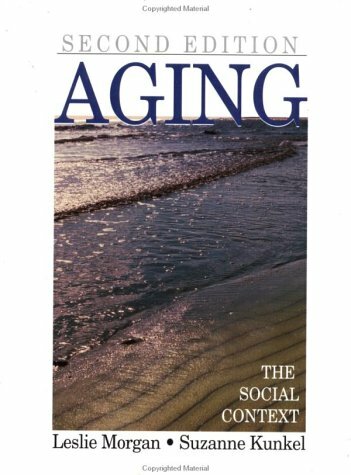 Contains lively, speculative essays on topics not traditionally covered in gerontology texts (see Table of Contents), causing students to use their imaginations in applying aging to new and unusual problems. What is new to this Second Edition? Updated information on topics such as Social Security and global aging has been added. The biology and psychology chapters have been edited to flow more coherently with the rest of the text. Significant new material on memory / memory loss has been added to the psychology of aging chapter, and the chapter on biology of aging has been updated. Some areas of the text have been reorganized to avoid duplication and overlaps. In addition, there is a new section on death and dying Close to one half of the topical essays are new. New use of photos and cartoons are contained throughout the text, as well as added and new web sites for students, and updated graphics. Questions for thought and discussion have been added at the end of each chapter.